BALTIMORE, Md. 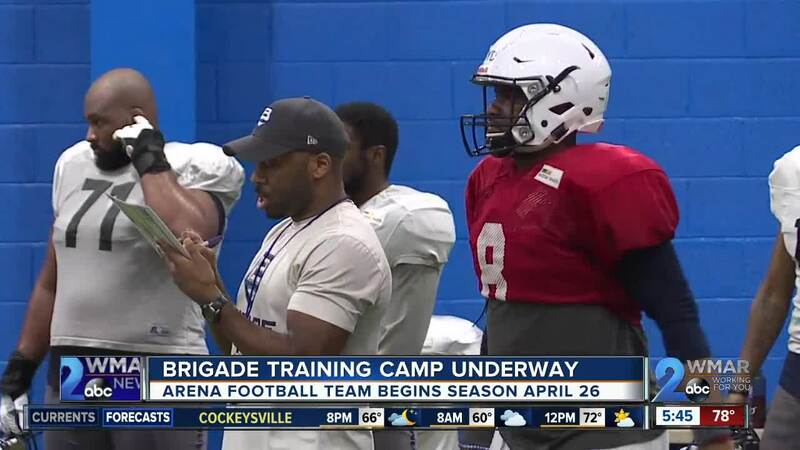 — The first week of training camp is underway for the Arena Football League's Baltimore Brigade. That's how it tends to feel when you're on the losing end of a championship game, which is how how the Brigade's 2018 season came to a close. They were upset by Washington in Arena Bowl XXXI. Quarterback Shane Boyd said count that as fuel for 2019. Boyd represents the biggest change from last year's team. He goes from backup to starter, replacing Randy Hippeard who signed with the expansion Atlantic City Blackjacks. “My role is the same. I'm just on the field now. But, I'll continue to help grow players, continue to lead,” he said. On defense the Brigade has added veteran linebacker Joe Goosby. He earned All-Arena honors the past three seasons. He comes over from a Philadelphia team that has long dominated the AFL. As far as overall changes in the Arena League this season, the AFL has grown from four to six teams with expansion Atlantic City and Columbus. Coach Smith says overall health of the league is strong. “We've turned that corner, I believe. There's going to be expansion next year, even more teams. This thing is going to look a lot different here in the next two years. But, if you look at where we are now from two years ago, we're in a much better spot,” said Smith. The league also unveiled new uniforms for the entire AFL on Monday. The uni's are manufactured by Phenom Elite. The Brigade's remains mostly the same but gets a Maryland flag pattern added to the shoulder and the team name down the side of the pants. The Brigade kick off their third season on Friday, April 26 at Royal Farms Arena against the rival Washington Valor.